Back in June last year (can't believe it's been that long since I've posted) I visited Paris. 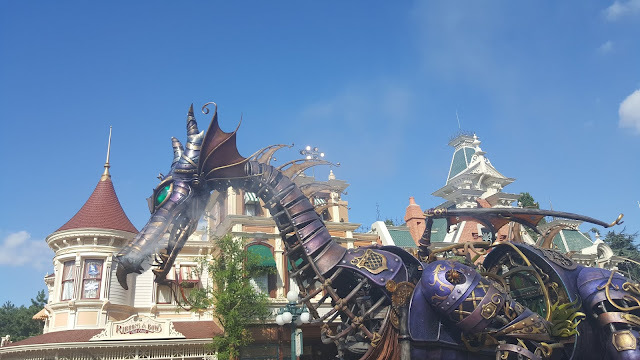 It was during that wonderful heatwave we had and it couldn't have been more perfect weather to visit Disneyland. 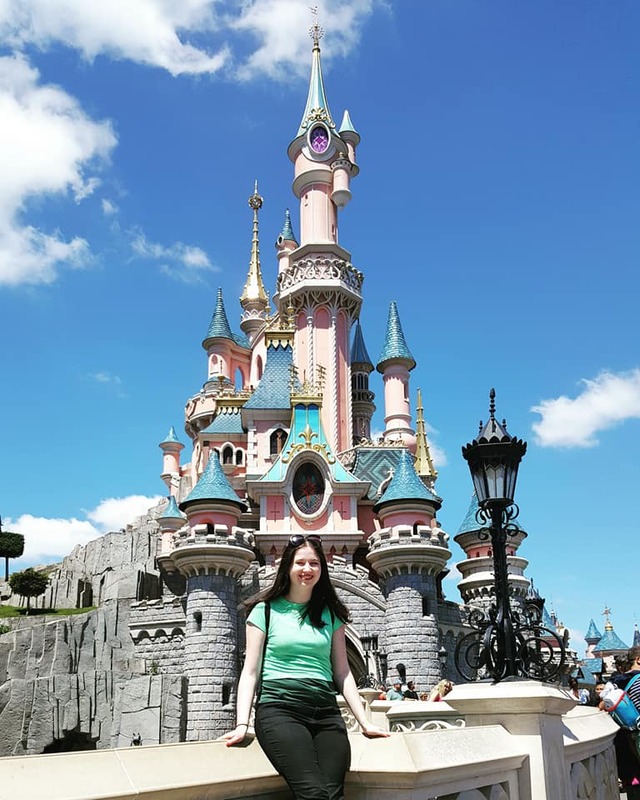 I had never actually visited Disneyland in Paris before so I was excited to see how it matched up to the original in Anaheim. We got there bright and early for a full day to try and pack as much in as possible and that we certainly did. We jumped straight into the rides and went on the Tower of Terror which I had never been on before but really enjoyed, it's a shame that they are getting rid of the ride. 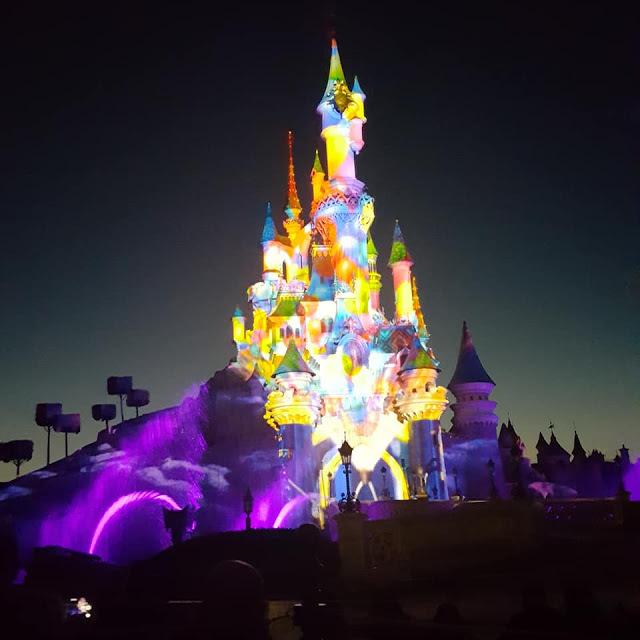 We also went on some of the more restful rides like a small small world and the Aladdin flying carpet ride as we had done so much walking the previous days in Paris and loads of walking around the park that my feet needed every rest they could get. 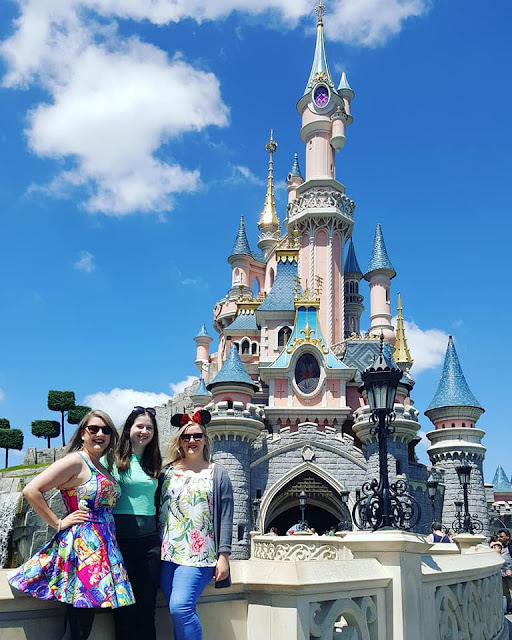 After this we headed to the shops to see if any of the Disney merchandise caught our eye. I tried to resist but I ended up with a new pair of mouse ears. Then we went for food at Planet Hollywood. 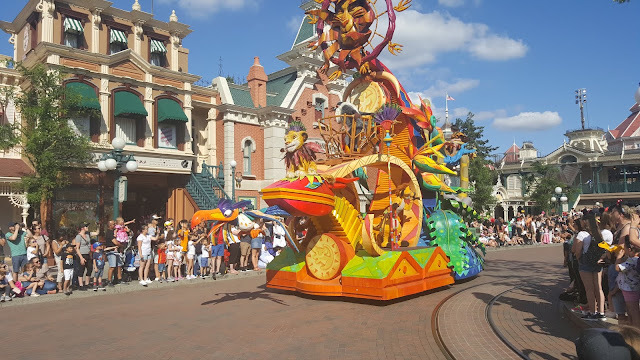 After getting food and heading back into the park we were lucky enough to stumble on the start of the parade, we walked straight into a great spot and had a wonderful view! 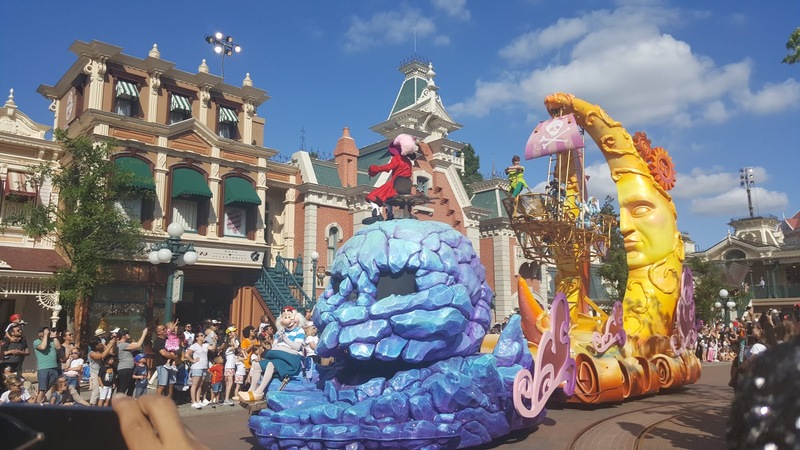 Seeing a parade at Disney was also something I had not done before and it did not disappoint. 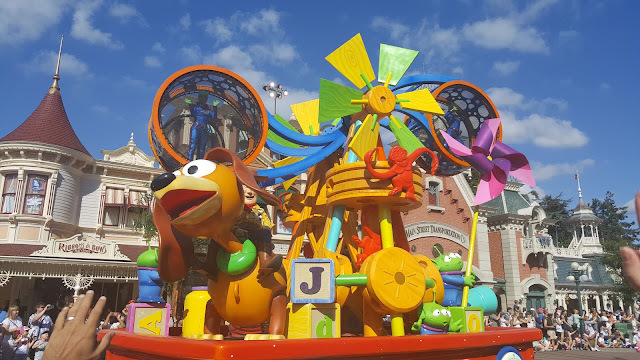 All the characters were involved either walking around or on different colourful and interactive floats. The big kid in me was obsessed and I loved every moment of it. Some of my favourite floats included the Peter Pan themed one above. 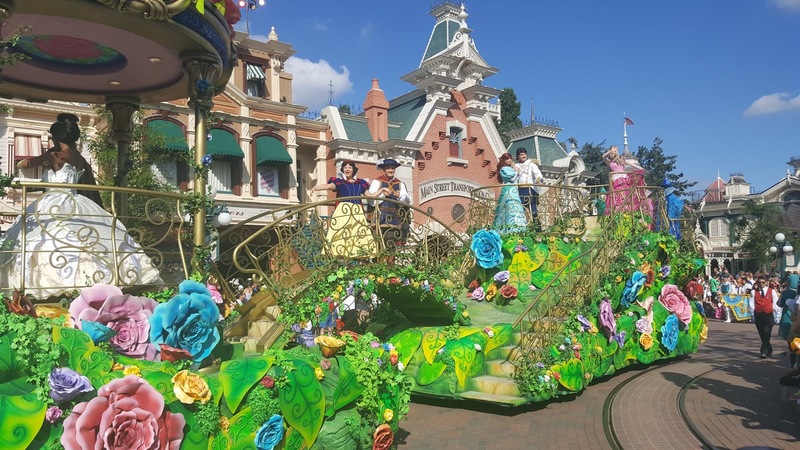 The Sleeping Beauty dragon themed float and finally the one at the end with the Disney princesses and their Princes. After this we walked around the park again and we're asked by some employees if we had a moment to answer questions. No catch. If we answered the questions right we would win front row seats to the firework show at the end of the night. I have never felt more lucky than I have on this holiday, we just happened to be in the right place at the right time for everything. Sure enough we won the tickets to see the fireworks at the front of the crowds and in our boxed off area there were literally only 11 other people, so we had a fantastic view of the whole show. There's always something so magical about the fireworks show at the end of the night but this one was extra special. I felt so emotional watching the show and singing along and I couldn't believe my luck and the view we had. 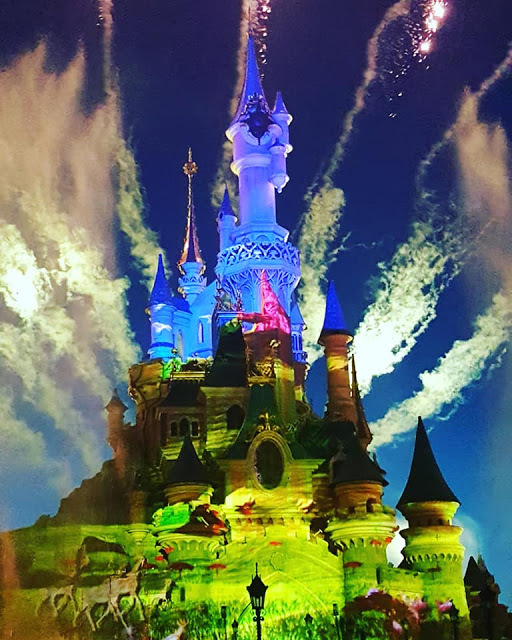 It was the perfect way to end such a wonderful day at Disney and the experience I had made my trip to Paris that much more special. 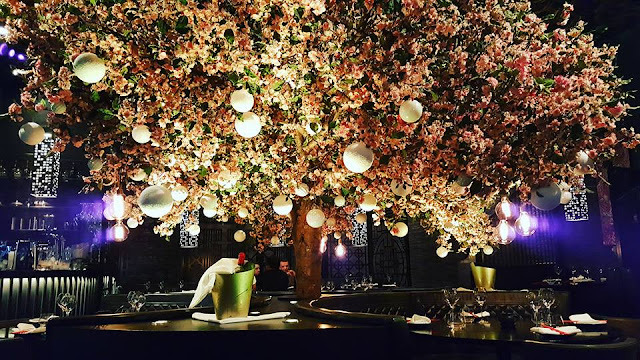 It is definitely up there for one of the best Holiday moments I have had. 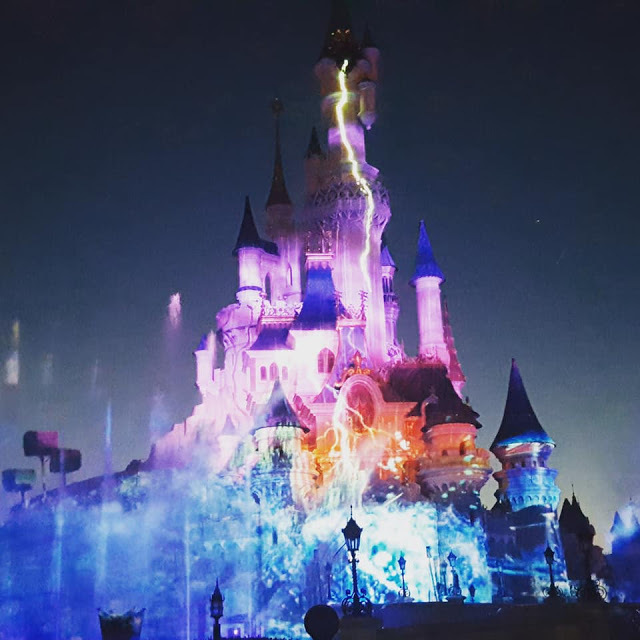 Disneyland Paris surpassed all my expectations and more and I would go back in a heartbeat!